Expectant mothers who don't control their diabetes face an increased risk of miscarriage and stillbirth. Their babies have a higher chance of being born with birth defects. "These are high-risk pregnancies," said Dr. Florence Brown, an expert on pregnancy and diabetes. "All women with pre-existing diabetes need to plan their pregnancies." Brown is co-director of the Joslin-Beth Israel Deaconess Medical Center diabetes and pregnancy program in Boston. She had no role in the study, which was done by researchers at Kaiser Permanente, a California-based health care provider. The researchers focused on health records from more than 175,000 ethnically diverse women who gave birth in a dozen Kaiser hospitals in Southern California from 1999 to 2005. Experts believe the findings likely reflect the overall U.S. population. The actual number of pregnant women with pre-existing diabetes was small. In 1999, there were 245 such women; by 2005, there were 537. That translates to a rate that rose from 8 per 1,000 pregnancies to 18 per 1,000. The rate increased the greatest among 13- to 19-year-olds giving birth. It ballooned from about 1 per 1,000 pregnancies to 5.5 per 1,000 during the seven-year period. Blacks, Asians and Hispanics were more likely to have diabetes before pregnancy than whites. The rise of diabetes among women of childbearing age mirrors the prevalence of the disease in the general population. The most common form of diabetes is Type 2, which is linked to obesity. About 15 million people in the United States are diagnosed with diabetes, and 1.5 million new cases were diagnosed in people age 20 and older in 2005, according to the American Diabetes Association. Pre-pregnancy diabetes is different from gestational diabetes, which is developed during pregnancy and disappears later. 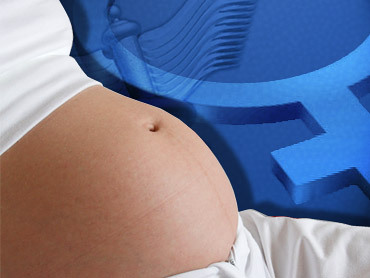 Gestational diabetes affects 3 percent to 8 percent of pregnant women in the U.S. In the study, Kaiser researchers did not look at whether any of the women had prenatal diabetes care or how the babies fared after birth. They also could not determine the type of diabetes the women had. Type 2, which is linked to obesity, occurs when the body makes too little insulin or cannot use what it does produce. Type 1 occurs when the body doesn't produce insulin. Results of the study were published online Monday in the journal Diabetes Care, a publication of American Diabetes Association, which funded the research. "There are things women can do before they become pregnant that will increase the likelihood of them having a healthy baby," said lead author Jean Lawrence, a research scientist with Kaiser Permanente Southern California. That includes controlling blood sugar levels with an insulin pump or maintaining a healthy diet and exercise routine. Overweight women are also encouraged to shed some pounds before getting pregnant. The North Shore-Long Island Jewish Health System in New York has a special program to help moms-to-be manage their diabetes. Women are encouraged to seek medical help at least three months before they plan to have a baby so doctors can help them control their blood sugar and increase their intake of folic acid, said program manager Marie Frazzitta. "By the time a woman knows she is pregnant, the (baby's) heart is already developed," Frazzitta said. At that point, "there's not much we can do." Michelle Cangemi, who has Type 1 diabetes, was among those who sought care at North Shore before she become pregnant with her first child in 2005. Cangemi, who had good control of her blood sugar before pregnancy, kept an even closer eye on it while expecting. As someone who normally checked her blood sugar four times a day, she checked 15 times a day during her pregnancy. "It was definitely something that worried me throughout my pregnancy," said the 29-year-old dietitian whose daughter turned out healthy. "You don't know how the blood sugar levels are going to affect a child that's developing." Now Cangemi is seven months pregnant with her second child. This time she's less nervous. "There's so much monitoring that it makes me feel better that everything is going to be fine," she said.